‘MTSU On the Record’ guest spa..
MTSU students in search of the perfect outfit to wear to their all-important job interview are being directed to a new location beginning with this new year. 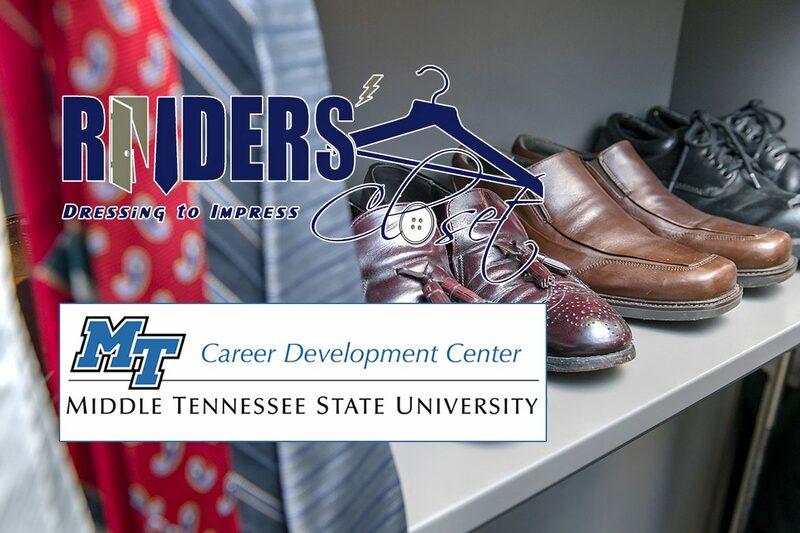 Raiders’ Closet, the service that collects and distributes gently used professional clothing to students, will now be affiliated with and run by MTSU’s Career Development Center. The closet and the center are neighbors on the third floor of the Keathley University Center. Dr. Virginia Hemby, a professor of business education in the Department of Marketing in the Jones College of Business, founded Raiders’ Closet in January 2013 and has run the service with the help of generous donors’ financial and clothing contributions. Her teaching duties, research projects, committees and national organization commitments have expanded over the last six years to such a degree, however, that Hemby says she can no longer respond to individual students’ clothing needs. With its staff of six professionals and eight student workers, the Career Development Center has people available to help when a student needs Raiders’ Closet assistance, she said. “I did find that, for the most part, students are the better choice for helping other students determine what looks right, what’s good, what’s not good, and also for determining what you need to keep and not keep,” Hemby said. While students might be more in touch with current styles, she noted, they might not have as reliable a frame of reference for appropriate professional clothing as those who’ve been in the work world a little longer. That’s where the Career Development Center can provide guidance. The Career Development Center helps MTSU students campuswide develop a post-college career plan and assists with resumes, networking and interviewing skills. Toward that end, Doddridge said, Raiders’ Closet fits perfectly with his office’s mission of preparing students for life after college. The Career Development Center, located in Room 328 of the Keathley University Center, is open from 8 a.m. to 4:30 p.m. Monday through Friday and is closed on university holidays. To donate either clothing or money, or for more information about Raiders’ Closet, contact the Career Development Center at 615-898-2500 or career@mtsu.edu.